In Accountant in Bankruptcy v. Reid  SC EDIN 23 David acted for the defender in a sheriff court action raised by the AIB for repayment to a debtor’s estate of sums which the defender had received under a marital separation agreement. In a diet of debate before Sheriff Weir QC, the AIB argued that the defender’s answers in this regard were irrelevant and decree should follow without hearing evidence. The sheriff did not agree, and allowed the defender a proof before answer. 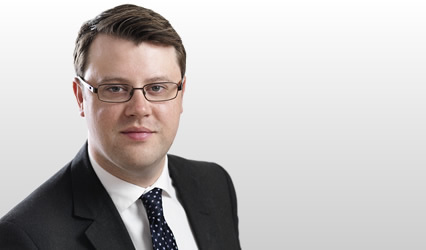 In Khaliq v. Gutowski  CSIH 66; 2019 SC 136 David acted for the respondent in an appeal to the Inner House against a decision of the Sheriff Appeal Court to refuse an appeal owing to the appellant’s failure to adhere to the SAC rules. The appeal raised questions of the operation of the SAC rules, the test for reviewing an SAC decision to pronounce decree by default, and the relationship of a court with a party litigant. In the opinion of the Court the Lord President discussed these issues and refused the appeal. The Lord President also discussed the threshold test for an appeal to the Inner House from the SAC and commented on the procedure in that regard.